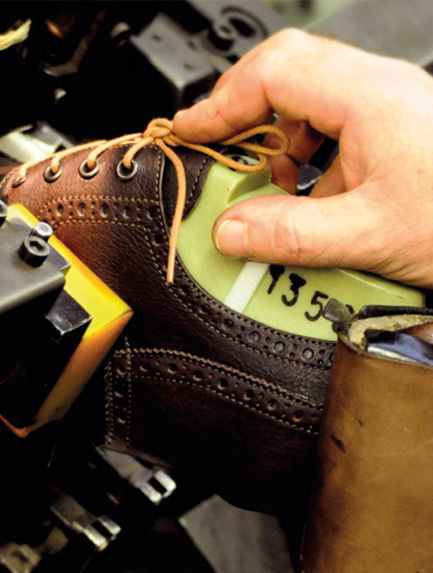 The story of Maritan’s factory shoe began in 1995, when Giancarlo, with the support of his son Gabriele, decided to take advantage of his consolidated commercial and technical skills to give rise to a familly-conduction business. The origins of Giancarlo Maritan are tightly related to the shoe industry of the so-called ‘Riviera del Brenta’, a leading land of shoe-production. In this stimulating framework, Giancarlo improved his know-how, having the possibility to see in person the capabilities of local artisans, who daily produce high-quality shoes. He could also simultaneously learn the art of shoe-planning and production. The breakthrough took place in the seventies, when Maritan moved to Verona neighbourhood, where he worked for about 20 years as commercial Director in a well-known factory shoe. In light of this fundamental working experience, he decided to take the plunge, namely to start his personal way, with the foundation of his first factory shoe in the zone around Villafranca, later followed by new ones in Romania and Moldavia. Since that period, the company has exponentially evolved, achieving the top level in the production and marketing of shoes for man and woman. In the last years, Giancarlo’s daughter Katia has been joining the company, mainly dealing with the company marketing and the commercial field. Today, Maritan’s factory shoe is responsible for the production and distribution of both its-own brand and the those of important national and international companies. High-quality, accuracy, refinement, attention and care in the processes of manufacturing constitute the fundamental characteristic of the company, strongly focused in the customer and his own specific satisfaction. The Maritan brand covers a wide-spread target, intercepting both young people and adults. Customers are spread all-over the world, from Europe to Japan and United States. The jewel of the crown of the Company is the capability to respond to the complex dynamics of the contemporary trade in a careful way, with creativity and flexibility, to satisfy at the top level the evolving needs of customers, with the aims of the most modern technologies of the sector.